Greenwood Cemetery Preservation Association is a non profit organization. Every Saturday as we walk thru the cemetery history comes to life before our eyes. One Saturday we found a tombstone that I will never forget. It has the person’s name and his date of birth, but after the dash it has the words "Died free and happy" instead of a date of death. These words should be an inspiration to us all to keep his resting place clean and free. We need to make sure that this person and all of those laid to rest here are able to rest in a place we can all be proud of. That is why we need your help, donations, services and time. We cannot do it without you. Every Saturday morning at 8:00 am, weather permitting, we are cleaning up Greenwood Cemetery. We are in desperate need of help by way of donations and volunteers. We need donations to rent the much needed equipment each week for the cleanup. 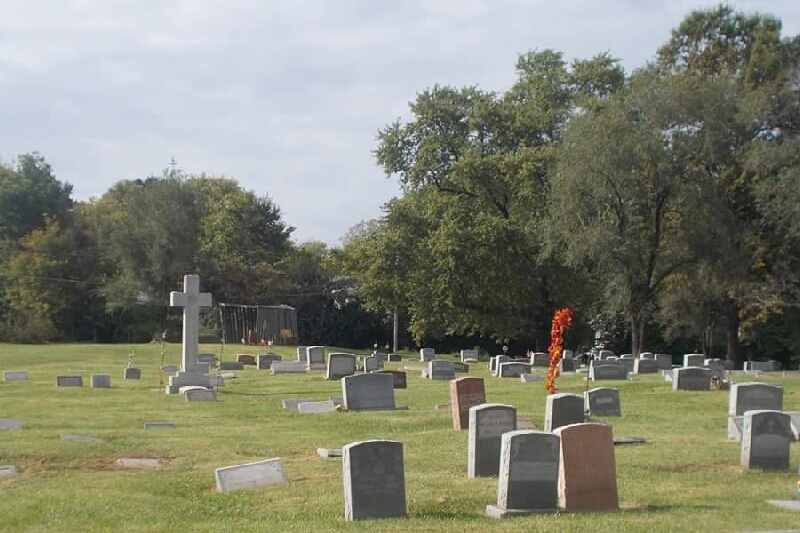 Friends of Greenwood Cemetery Association ( http://www.greenwoodstl.org/ ) is a non-profit organization and every penny that we raise will go toward the cleanup efforts for the 32 acres of historic land that our ancestors took pride in as they laid their loved ones to rest. We appreciate the efforts of volunteers whether you come alone or bring a large group we need you. We also need equipment donations and financial donations. Don't forget your donations to Greenwood Cemetery Preservation Association can help you save money. We are a 401k organization and your donations can be used as a tax deduction. We have done so much but still have so much to do. Thanks in advance for your donations. Family and Friends cleanup day is quickly approaching. We would love to see you on October 8th. Please bring your lawn equipment. Wear your hard bottom shoes, long sleeves and long pants. Your support is helping. Last year at this time you could not tell that this was a cemetery. With your help we are able to get started on cleaning up 32 acres of land so that each family member can have the opportunity of visiting their love one. Thanks for your donations.